Norwegian operator BWOffshore has made an oil discovery in the Ruche North East Marin-1 (DRNEM-1) well, drilled in the Dussafu Marin PSC, offshore Gabon. The Dussafu Marin PSC is undergoing a field development, with first oil expected by October 2018. Two development wells have been drilled, which will deliver crude oil to an FPSO that has arrived in the Gabonese waters. But the DRNEM-1 well is an exploration component of the ongoing activity, not to be confused with the field development. The DRNEM-1 well was drilled to identify additional oil resources in the pre-salt Gamba and Dentale Formations in the greater Ruche area, and completed within budget. These resources may be developed together in the future with the existing Ruche field discoveries, located 3km to the south west. Panoro Energy made those discoveries made in 2011, but BWOffshore is the current operator, and it is footing most of the bill, with Panoro being a minority partner. DRNEM-1 was drilled with the Borr Norve jackup unit in 115 metres water depth, reaching a vertical depth of 3,400 metres within the Dentale Formation. Log evaluation, pressure data and fluid samples indicate that approximately 15 metres of good quality oil pay was encountered in the Gamba Formation and 25 metres of oil pay in stacked reservoirs within the Dentale Formation. Additional technical evaluation in currently being undertaken to appraise this discovery. The forward plan includes a sidetrack which will appraise the Dentale sands in an updip location and the lateral extent of the Gamba reservoir. Meanwhile, the FPSO, named Adolo, is now connected to the mooring system. First oil is estimated for approximately late September or early October, 2018. Tullow Oil has spud the Cormorant-1 well on Petroleum Exploration License 37 (PEL 37) in the Walvis Basin offshore the Republic of Namibia. 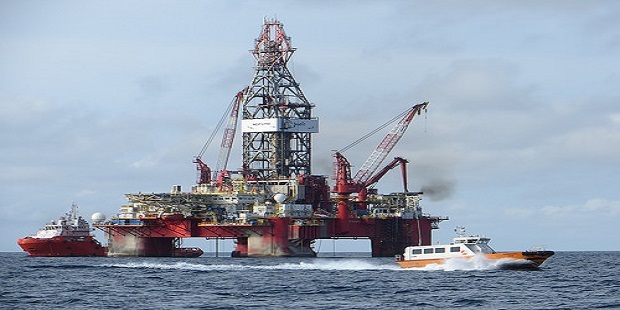 The well is located in 545 metres of water and is expected to be drilled by the Ocean Rig Poseidon drillship to a total depth of 3,830 metres subsea. Cormorant-1 will test the oil potential in a mid-Cretaceous aged deep marine fan sandstone system. Drilling and evaluation of the well is expected to take approximately 34 days. PEL 37 covers 17,295 square kilometres and is located approximately 420 kilometres south of the Angolan-Namibian border. Cormorant-1 is the first well to be drilled in Namibia in the current post –low price era and is also the first probe since Wingat-1 and Murombe-1 (both drilled in 2013) in PEL 23, located directly south of PEL 37 “confirmed” the presence of mature, oil-prone source rock in the Walvis Basin. It is thus the first well to test the validity of the industry-wide claims about Wingat and Murombe. The Cormorant Prospect was defined utilizing a high-quality 3D seismic survey acquired in 2014 and is one of four similar submarine fan prospects on PEL 37. The Cormorant Prospect has gross best estimate prospective resources of 124Million barrels and, if successful, is expected to open a fairway of similar dependent fans with substantial resource potential across PEL 37, according to geoscientists at African Energy, a minority partner in PEL 37. Tullow operates Cormorant-1 with 35%, with partners African Energy (10%), as well as ONGC Videsh Ltd. and Paragon Investment Holdings (Pty) Ltd, holding 30% and 5%, respectively. The Opuama field is currently producing at approximately 25,000 BOPD (Barrels of Oil Per Day) (11,250 net to Elcrest). It is “an all-time record for OML 40”, says Eland Oil and Gas, the technical arm of the IJV Elcrest, which has a joint venture with the Nigerian state owned NODC on the asset. “This (output) includes both strings of production from Opuama-9 which has just been brought onstream at higher levels than anticipated”, says George Maxwell, CEO Eland. Eland says it has experienced an increased water-cut from Opuama-7 “and hence we are taking remedial action to rectify this. A re-entry of Opuama-7 is expected to take place during the coming month”. That problem is the major production challenge onshore Niger Delta, especially in fields that require natural water drive from down dip of the producing reservoirs, to deliver. Eland thinks that the problem is a no brainer. “Production is still expected to be in excess of 30,000BOPD (13,500BOPD net to Elcrest) from Opuama upon completion of the Opuama-10 well”. Italian explorer ENI has announced a new oil discovery in Block 15/06, in the Kalimba exploration prospect, in Angola’s deep offshore. “The new discovery is estimated to contain between 230 and 300 Million barrels of light oil in place”, the company declares. The Kalimba-1 NFW well, which has led to the discovery, is located at approximately 150 kilometers off the coast and 50 kilometers South East from the Armada Olombendo FPSO (East Hub). The well was drilled by the West Gemini drillship in a water depth of 458 meters and reached a total depth of 1901 meters. “Kalimba-1 NFW proved a 23 meters net oil pay of high quality oil (33° API) contained in Upper Miocene sandstones with excellent petrophysical properties. The data acquired in Kalimba-1 NFW indicate a production capacity in excess of 5,000 barrels of oil per day”, ENI remarks. The company says that the discovery opens new opportunities for oil exploration in the Southern part of Block 15/06, so far considered mainly gas prone, thus creating new chances for additional potential value in the block. “The Joint Venture, composed by ENI (operator, 36.8421%), Sonangol P&P (36.8421%) and SSI Fifteen Limited (26.3158%), will work to appraise the updip of the discovery and will start the studies to fast track its development”. ENI currently outputs an equity production of about 155,000 barrels of oil equivalent per day in Angola. 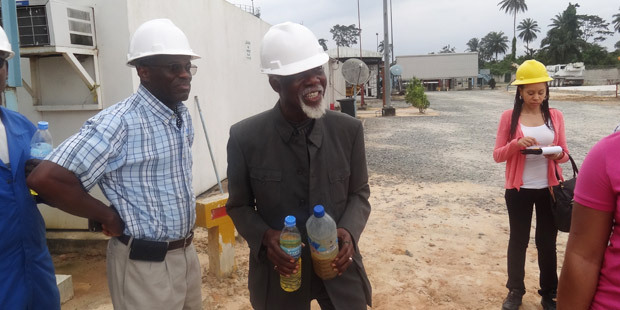 “In Block 15/06 the two oil development projects, West hub and East Hub, are currently producing about 150.000 barrels of oil per day (100%). ENI is also operator of Cabinda Norte Block, located onshore Angola. The next start-ups in block 15/06 this year will be the Upper Miocene, in the East Hub, and the Subsea Boosting System for the Mpungi field, while the Vandumbu field, that will be connected to the West Hub, will start production at the end of 2018, ahead of plan. These start-ups will add further 30,000 barrels of oil to the overall production from Block 15/06, which in 2019 will exceed 170,000 BOPD gross”. ExxonMobil is still an active driller though, working with two Deutag rigs. TOTAL, the French major, is also active with the drill bit. Nigeria is on the rebound, Angola seems headed for the floor. offshore acreages, please click here. Depthwize was about to be back in full throttle, when fire came as a spoiler. Two years after an accident on an ExxonMobil pipeline which led to some curtailment in operational activity, the company was back in full business. For most of the month of May 2018, its rigs were on two locations, in east and west Niger Delta basin, with a third one being mobilised. 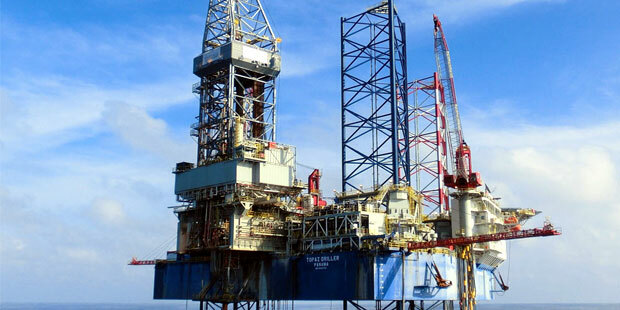 With three rigs deployed, the contractor was on course to be the second busiest rig operator in the country for the month, tying for the post with Shelf Drilling, the multinational driller, both of them racing after the SEEPCO owned British Oil and Gas Exploration. But fire engulfed Depthwize’s swamp barge Majestic, which had just finished carrying out a re-completion on one of the wells on Conoil operated Ango field, on Saturday, May 26, 2018. The raging inferno burnt down significant parts of the rig, but did not affect the well. 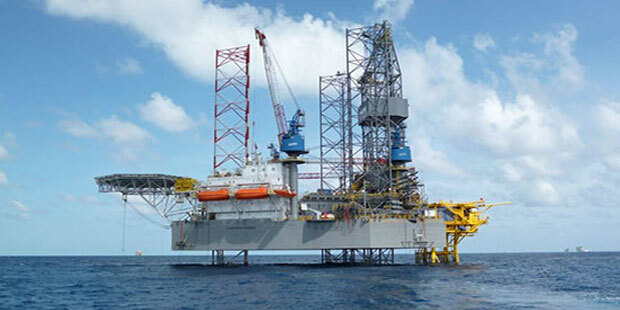 Major Abdullahi Ibrahim, spokesman of the Operation Delta Safe (ODS), an arm of the Joint Military Task Force in the Niger Delta, said that all personnel on board the rig were successfully evacuated. Ote Enaibe, Depthwize’s Head of Business Development, said that the company was still investigating the exact cause of the fire. Elsewhere, Depthwize was doing okay. 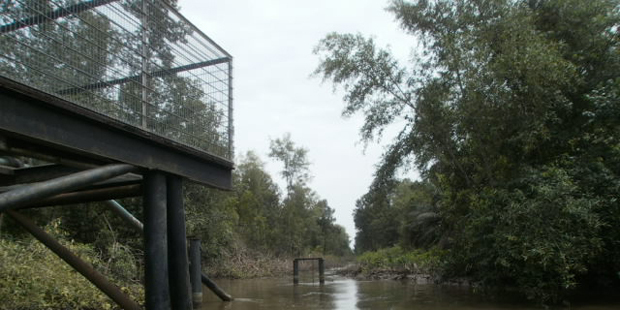 The company’s other swamp barge, Imperial had spud Moni Pulo’s Inaha 1 well, drilled to 1010ft and set 20 inch casing. It continues on the well throughout May and into June 2018. The company was also mobilising its jack up Monarch for the crucial well testing on Conoil’s cretaceous well, Toju-Ejanla. The inferno on the Majestic happened two years and 10 days after Depthwize’s first accident. In mid May 2016, the Monarch impacted the pipeline which pumps hydrocarbon fluids from Oso condensate and Usari oil fields to the ExxonMobil terminal at Qua Iboe. The damage on the pipeline was severe enough to cause a halt to a portion of ExxonMobil’s entire crude oil production. Depthwize’s insurance paid for the repairs on the pipeline, as it is about to do now, to fix the Majestic. Oslo listed BW Offshore, has penetrated additional hydrocarbon-bearing reservoirs in the Dentale D2B and Dentale D6 reservoirs with the DTM3, an appraisal well in the Tortue field in Gabon’s offshore Dussafu Licence. The well successfully delivered on what it was meant to do, which was to appraise the western flank of the Tortue Field, attempting to extend the known distribution of hydrocarbon resources within the Gamba and Dentale formations. 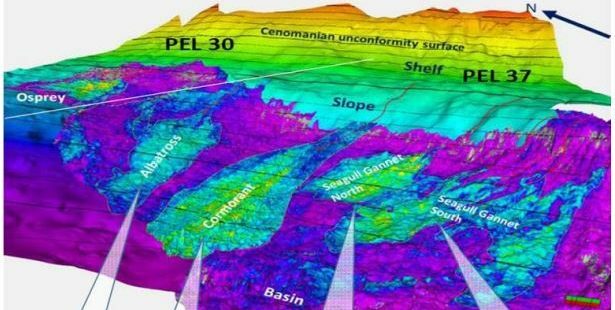 Penetration of approximately 30 meters of hydrocarbon-bearing reservoir within the Gamba and immediately underlying Dentale subcrop sandstones at a structural position consistent with the pre-drill estimates”, says Panoro Energy, another Oslo listed company, and a minority partner in the project. Development of the western flank of the field is likely to form part of Phase 2 development at Tortue, where preliminary preparation has commenced, Panoro explains. “As planned, DTM 3 has been plugged and abandoned. Operations are now underway to drill and complete the second horizontal production well, DTM-3H, which will target the Gamba Sandstone formation in the central part of the field”. London based minnow NewAge African Global Energy, has the Vantage Drilling owned jack up, the Topaz-Driller rig, in Cameroon waters. The two well appraisal drilling campaign on the Etinde asset, in which the Company holds a 25% interest, is due to commence shortly with the IM-6 well expected to spud at the end of May, 2018. The plan is to prove up to 1 to 2Trillion Cubic Feet (Tcf ) reserves of natural gas, which will support a 70MMscf/d gas to power project for the country. NewAge is also looking to monetise the gas resources for an FLNG project. The Topaz-Driller has been contracted for 150 days. Somali Data Looks Good, But Who Will Drill It? 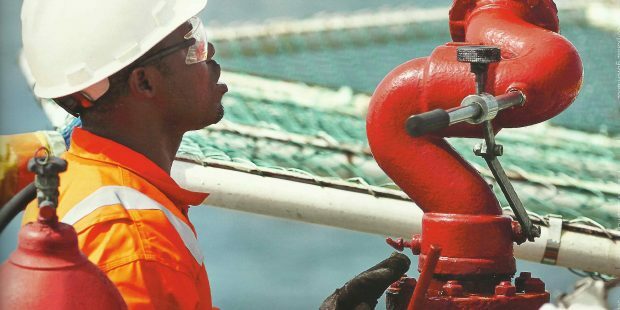 Sterling Energy says there are “encouraging technical indications”, from its review of the two dimensional (2D) seismic dataset acquired by the government of Somaliland, but the company’s published update on operations in the country doesn’t point to a probable time of drilling any prospect. Somaliland is a sovereign territory outside of the war ravaged Somali. 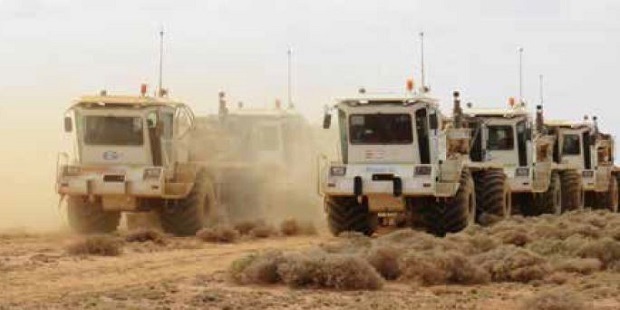 Sterling, a 34% non-operating partner, “is undertaking a highly focused and rigorous processing effort, independent of the Operator, with the primary technical objective of improving the deeper subsurface image”, the update says. “The first phase deliverables will be a full pre-stack time migrated dataset, consisting of 3 lines of approximately 235km”. This is about the Odewayne (onshore) Exploration Block, for which production sharing agreement (‘PSA’) was awarded as far back as 2005. That agreement is in the third period, and the government has been generous. The companies; Genel Energy, which is operator and Sterling, have not had to spend a single cent on data acquisition and they have no clear path to drilling, even after the government acquired data and handed it to them. “The minimum work obligation during the optional fourth period of the PSA (also extended by 2 years to May 2020) is for 1,000km of 2D seismic and one exploration well”. That obligatory 1,000Km of data was acquired by the Somaliland government, rather than the contracting parties, in 2017. There’s a lot of technical framing of a statement that’s ordinarily meant to say: “We are not ready to invest up to the drill site on this block. Read the following from Sterling’s update: “There is an option in place for a second phase of processing on the remaining 765km (13 lines) of data; the decision to progress to this optional second phase will be made once the initial deliverable have been received and assessed. This workflow will allow for an informed technical and commercial perspective on the block in H2 2018”. Here is the thing: unless another partner comes into the block, there is no likelihood that either Genel or Sterling will drill any well here, even in 2022. Nigerian independent Niger Delta Petroleum Resources (NDPR), commenced a 3 well campaign on the Ogbele field in mid-March 2018. 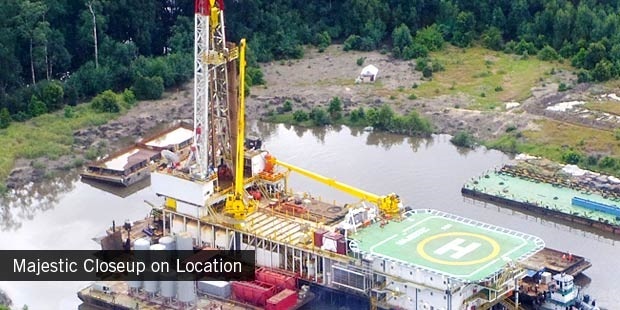 It is the company’s fourth Drilling Campaign on Ogbele and “it will be a field life changing exercise”, gushes Layi Fatona, the company’s outgoing Managing Director. NDPR plans to move the rig to drill one well in another small field: Omerelu, after the Ogbele campaign.